Can you tell I am proud of him? 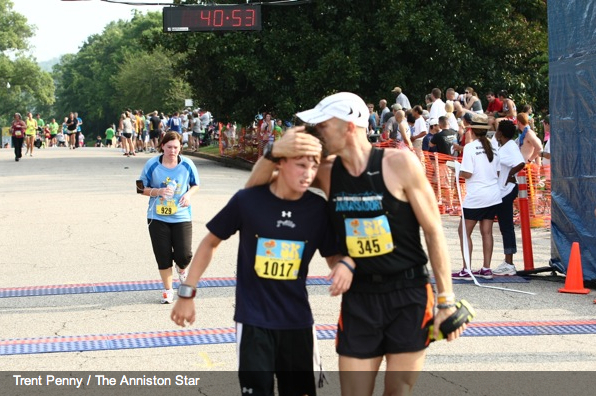 This was taken by the local newspaper at the finish line of the 5k. Next Can you help Hannah? Awesome. Proud Dads are always a great site to see. Great job Preston! This is an amazing shot. It really captures the moment. I’m sure it always will be treasured!